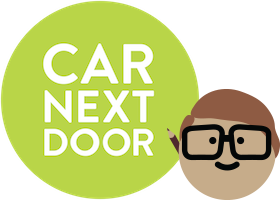 Car Next Door works on a system of instant bookings. This means that your car can be booked instantly at any time when your calendar shows that it is available. This makes it really easy to use, because you don’t need to deal with individual booking requests. It also maximises the number of bookings you get, because Borrowers can book and go on the spur of the moment. But for this system to work, you (and any of your Additional Drivers) need to always block out your car for your own use. For most of us, this is a new way of thinking about our cars, and takes a bit of getting used to. The good news is that it's super easy to do through our mobile site or app - here's how. What happens if you don't block out your car? Getting into the habit of blocking out your own car is the most important thing you can do as a car-sharer. it might not be there when a Borrower turns up at the start of their trip. If a Borrower turns up to use your car and you're actually out driving, or the key is not available, you may be charged $30 to go towards the Borrower's costs of finding alternative transport. It's also likely to impact on your car's earnings, as Borrowers won't become regulars if your car isn't reliably available. 1: Always block out your car if you are using it yourself. Members can instantly book any available car. This means that if you don’t block out the time when you are using your car, a Borrower may book it and turn up – to find the car missing. Here's how to block out your car when you need it. 2: Always put Fred (and the key) back in place when you get home. Fred is your friend. He’s the reason you can share your car without hanging around to exchange keys. If he’s not in his usual home (as detailed in your car's profile), then a Borrower won’t be able to get in - which is possibly even more frustrating than the car not being there. 3: Don’t wait till you get a booking to put the car (and Fred) in place. Most bookings are made within 15 minutes of their start time, so you often won’t have enough notice to bring the car back, or put Fred on. New habits are hard to make – but getting the hang of these 3 things at the outset will save a lot of hassle! Why is my car showing as 'available' when I've blocked it out? What is the Fair Availability Policy? What happens if a Borrower cancels their booking on my car? What if a borrower picks the car up late?